In all sorts of dry to moist open or slightly shaded ground: thickets, forests, shores, stream banks, rocky openings; especially common following clearing, burning, erosion, or other disturbance in moist forests. For plants intermediate with R. occidentalis, see discussion under that species. The canes in R. strigosus may be somewhat glaucous, but not conspicuously so, and they lack the stout broad-based prickles of R. occidentalis. There may be some slender prickles in the inflorescence, even without glandular tips, but they are ± straight and only slightly if at all broad-based. Pale-fruited forms are known of both raspberry species. The Old World R. idaeus L. is similar, but glandless. 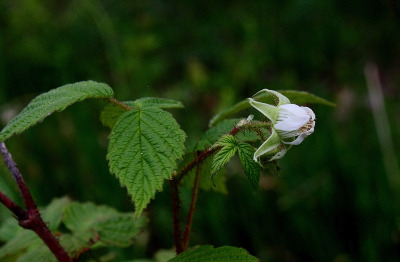 Both it and R. strigosus, which is often treated as a variety or subspecies of R. idaeus, are the sources of the numerous cultivated red raspberries. MICHIGAN FLORA ONLINE. A. A. Reznicek, E. G. Voss, & B. S. Walters. February 2011. University of Michigan. Web. 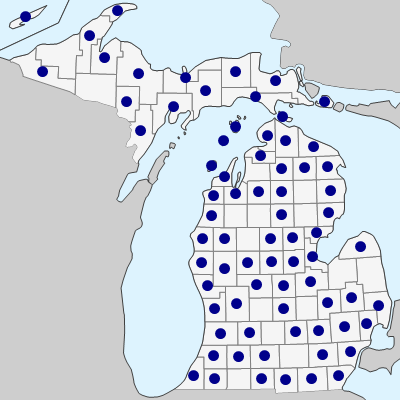 April 21, 2019. https://michiganflora.net/species.aspx?id=2565.